We work with organisations and companies throughout the private and public sector across a diverse range of industries including mining, energy resources, manufacturing, construction, urban redevelopment and major infrastructure. At Environmental Projects we assess issues and identify risks. We manage legislative approvals, and advise on how to obtain licences. We work with you to produce the required regulatory documentation to produce high quality comprehensive reports. Our team can investigate and then advise how to mitigate, monitor and manage impacts, and how to incorporate frameworks and processes into your workplace systems. We will work with you at any phase of your project’s development – from planning and approvals to managing, monitoring and operations, decommissioning and final divestment. We are certified to ISO 9001 Quality, ISO 14001 Environmental, AS/NZS 4801 and OHSAS 18001 OHS management systems by JAS-ANZ accredited QCS(E). 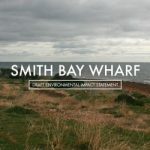 Environmental Projects provides professional environmental advisory services to clients in a diverse range of industries, including mining and minerals processing, petroleum, manufacturing, construction, land development, infrastructure, airports and government both in South Australia and interstate.